5 x 14 1/2 x 21 1/2 in. Object is a metal case with keyboard which bears both English & Japanese characters. Inside is a set of three PCBs. 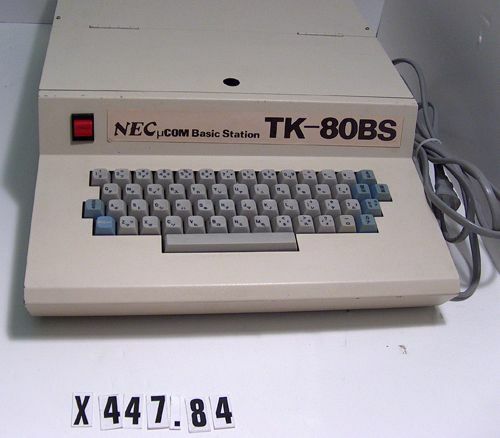 The topmost board has a programmer's keypad and appears to be an NEC TK-80 microprocessor training kit. 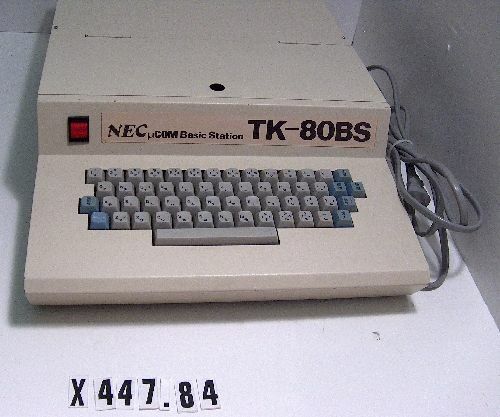 At least one of the other boards is believed to be an NEC TK-80BS expansion board that converted the TK-80 kit into a BASIC machine and added a conventional keyboard. There are a power supply and other components inside the case. There is a power cord coming out of the side of the case.